Having retired from his 15 year career, Paul moved into broadcasting with an ease and confidence that has kept him working for the last 10 years for the likes of LBC, BBC Radio London, talk SPORT and Lovesport, using the experience and principles from his career that he has also used to carve out a career in motivational and keynote speaking. Paul currently works with talkSPORT commentating on matches for their Premier League live programme. He also works with BBC Radio London on their live commentary of Premier League and Championship football matches. 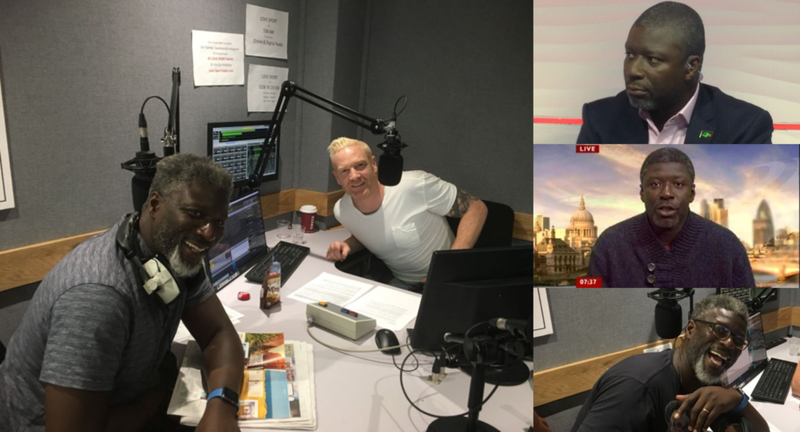 Paul has been co-presenting his own morning breakfast radio show for London based radio station Lovesport every weekend as well as permanent guest slots on Mondays and Fridays. With his easygoing charm and attention to detail, Paul engages all that listen with his knowledge and understanding of the finer points of the beautiful game as well as using his mental health experience to give valuable insight into the mental and emotional challenges that all players experience in and around football matches, training and the football environment. Paul also comperes and host’s events and evenings using his wit, charm and engaging manner to ensure events are well organized and delivered to the standard expected.